Let me demonstrate how this works. I am going to take the example of someone aged 49, say. Ask them what their age is. Inform them that, using base-12 arithmetic, they are actually 41 and going on 42. I’ve found that, more often than not, people will react by saying, “That is the age I ought to be.” (Apart from a handful of people who believe they should always be 18). Some of you may have encountered a problem: what do you do after you reach the digit 9 ? For example if 39 (base-12) is equal to 45 (base-10) because it’s equal to (3×12)+9, what is the next base-12 number? It is not 40, because 40 is 48 (4×12). Usually in base-12 arithmetic, 10 and 11 are represented bythe letters A and B. So the sequence in the case I mentioned would be 39 3A 3B 40 (45,46,47,48). However saying you are 3A years old doesn’t sound like anything at all. I have thought about this and, in consideration of the fact that transition to a duodecade will be just as traumatic as transition to the next decade, I have come up with the following solution. When you get to 39 base-12, you stay on 39 for the next three years. This will give you enough time to prepare properly for transition to the next duodecade. To make this formula work. Apply it every night for a month before going to bed. (Warning: do not try this on your 11-year olds. They will be most upset to discover they are now 9 again and will only be 10 next year). I have shared this with you free of charge because I couldn’t think of any way of selling it to you, although. learning from other Internet entrepreneurs, I think I might produce something called Sideways Anti-aging Pro. This will be exactly the same as the free version, but you will have the privilege of paying money for it. So provide me with money or buy my book at Lulu.com and I will arrange to send you a sticker or a signed certificate. This is all negotiable. However, I am also developing what I think will be a marketable product. It will be based on the mathematical constant pi, which has fascinated people through the ages. Basically it is, as you all know, the ratio between the circumference of a circle and its diameter. This number cannot be expressed finitely using the decimal (or the duodecimal) system of notation. So you could say that it goes on for ever, without repeating itself. I thought that we could sell it as a life-extending, alternative medicine, with the following slogan: “Pi, the number that goes on forever: so can you !”. Of course, we can’t offer you eternal life, because since pi goes on forever , there is no way you would have time to swallow it all in your own lifetime, however small we printed its numbers. So we will have to stop at a few million figures and call it Pi extract. the atomic coordinates of all our atoms, our genetic code, all our thoughts, all our memories. 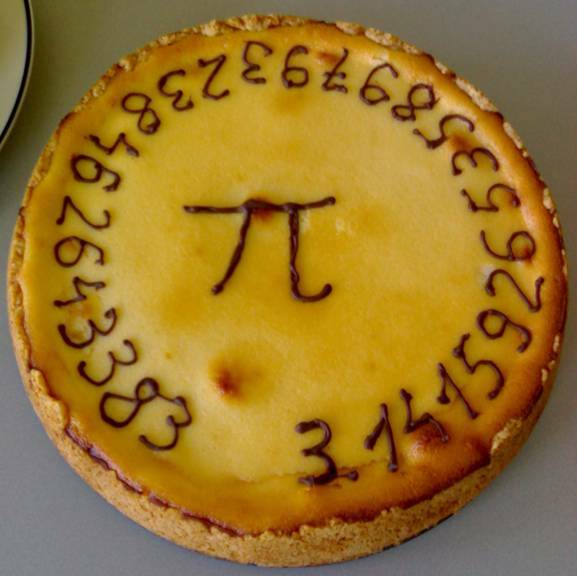 I also think we could do a better job than the example above, which was baked at Delft University to mark Pi Day , generally celebrated on 14 March, according to the rather illogical 2nd-things-first style used in America (3.14). 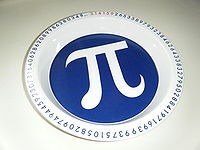 If one used the European system which arranges dates into day-month-year format (small-medium-big), Pi day would fall on 31 April, which has interesting mathematical properties of its own, in that it doesn’t actually exist. If you have found this all hard to follow, make sure to miss my next Mythematical post, which will be entitled Binarise ! 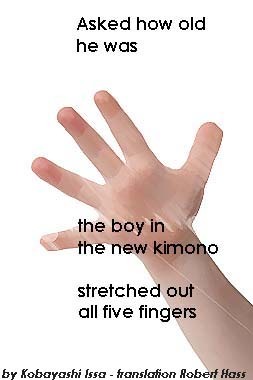 How to count to a million on your fingers (without using Viagra).